Think cultural treasures, vineyards, historic towns, divinely beautiful countryside…and wine, wine wine! 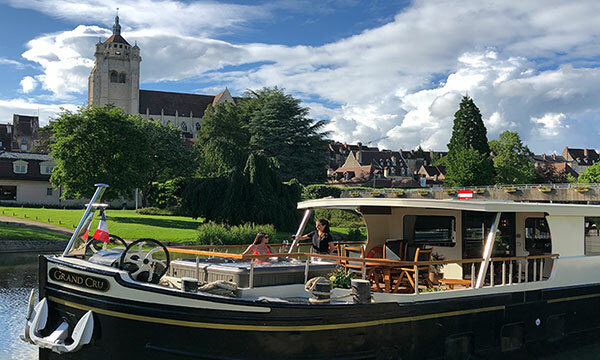 Southern Burgundy is often referred to as “The Land of Good Living”, and upon completion of your barge cruise, you will understand why. Prestigious Cote d’Or (“Gold Coast”) vineyards, the rustic countryside, and the epicurean delights found throughout this acclaimed region epitomize the celebrated blend of nature and culture for which it is known. 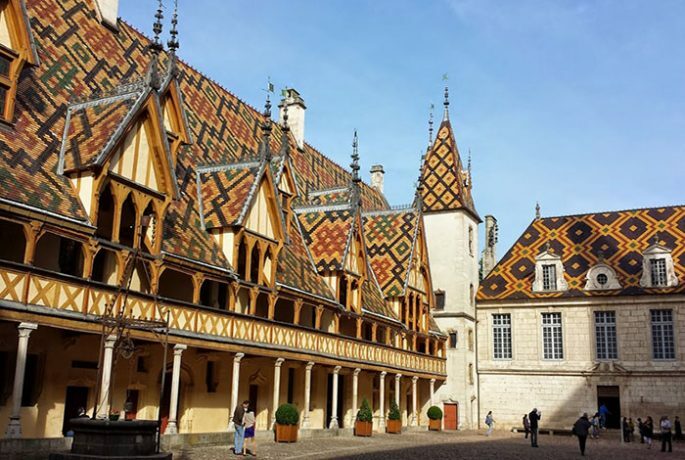 Explore Beaune, the wine capital of Burgundy, with it’s immaculately preserved medieval hospital, the Hospice de Beaune, located in the center of town. Enjoy a jaunt to Dijon, stroll the cobblestoned streets and visit the vibrant covered market. The famed vineyards of Nuits St. Georges, Pommard, Puligny-Montrachet, and Volany, with local discoveries just waiting to be tasted! 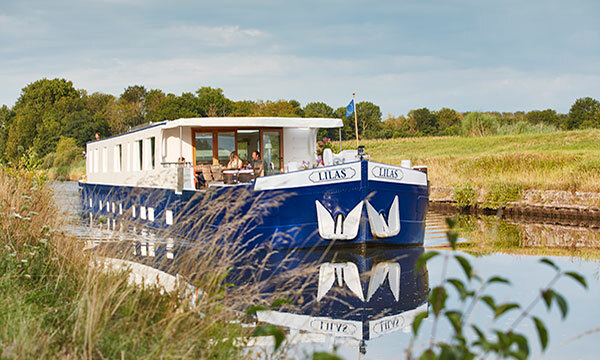 Tours of the region’s grand chateaux, Roman churches, and preserved basilicas. 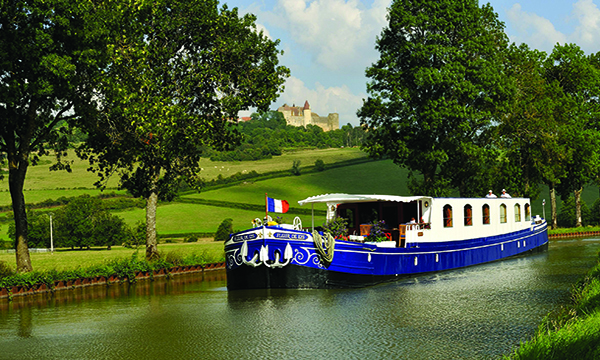 Burgundy barges cruise along the Canal de Bourgogne, Canal du Centre, both antique canals, as well as the River Saone. 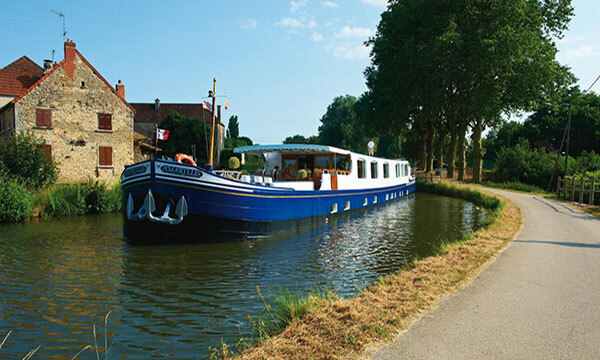 Construction on the Canal de Bourgogne was completed in 1832, and cruises through bucolic scenery, charming villages, and rolling vineyards. 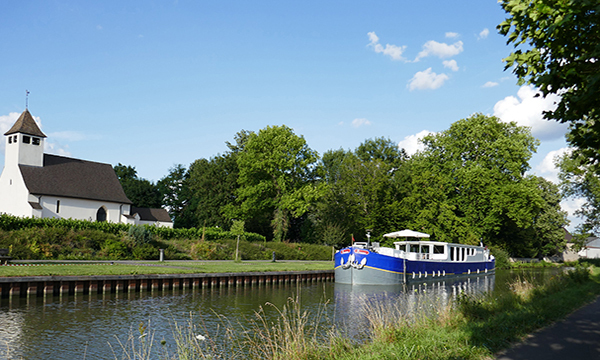 The Canal du Centre was completed in 1872, offering equally impressive vistas of pastoral landscapes and sweeping farmlands. Lively markets, charming towns, and private wine cellars. Miles and miles of manicured towpath for cycling and walking. Postcard-perfect scenery, abundant natural beauty, and gently rolling hills of deep green and rich golds. 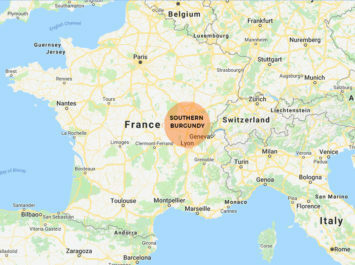 Then there is the great tradition of Burgundian food and wine, as this fertile region is home to the freshest produce, artisanal cheeses, and lush pastures.